To access your Gmail account remotely using Workstation Email, you must first set up POP3 on Gmail. In the upper right corner, click the gear button, and then click Settings from the list. Under Settings, click the Forwarding and POP/IMAP tab. Select one of the two Enable POP options based on your preference. 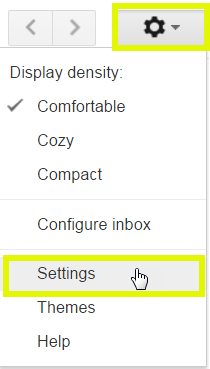 From the drop down box, choose how you want POP to store your Gmail messages.